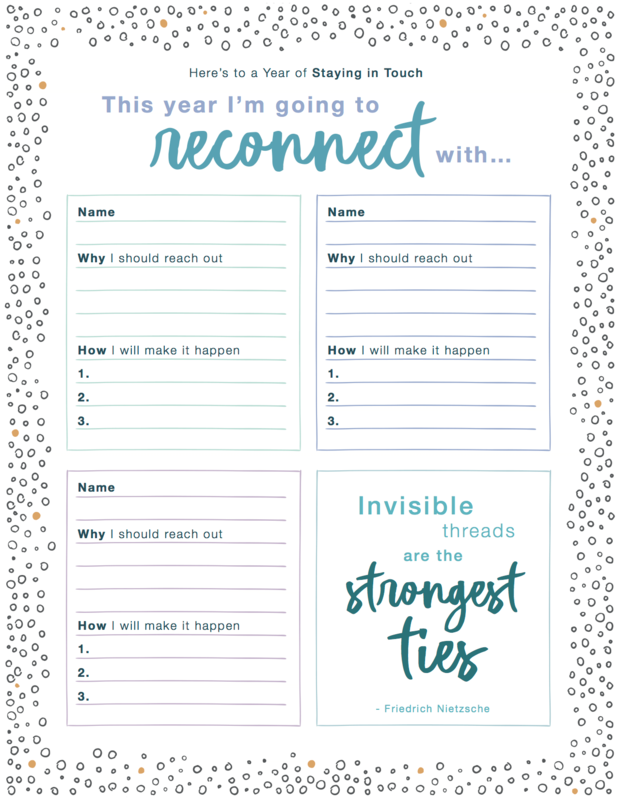 Next, write down three ways you’re going to reconnect: Send a card? Make a call? Write a letter? Meet for coffee? Message them on Facebook? However you decide to reconnect, remember taking care of your relationships has positive health benefits, too!